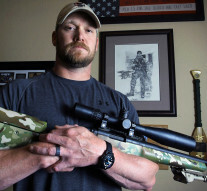 The name of 2015 – Chris Kyle – is now a name that can no longer be ignored. 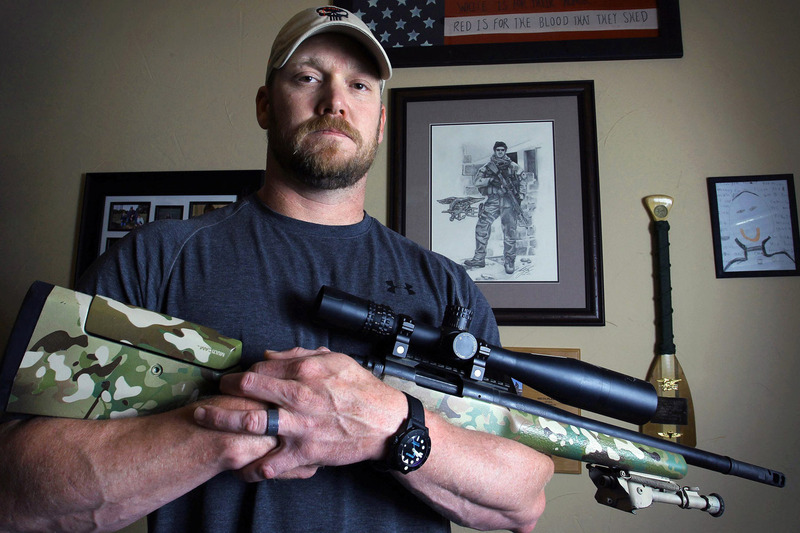 With the new release of American Sniper, hundreds of thousands of people now know about Chris’ story and share a special bond with our heroes who serve. But if you would’ve asked Chris today if he thought he was a hero, he would tell you no. He would say that he was no hero at all and that he was only doing his job. He also would’ve told you that he doesn’t think about the people he killed. He’d say he only wishes he could’ve saved more of our American men and women while he served four tours in Iraq. At least that’s what he told me, both in 2012 and on Jan. 28, 2013 – five days before he was murdered. My name is K’Leigh Sims (formerly Bedingfield), and I was the last person to interview Chris before his death near Glen Rose. The first time I interviewed Chris, I was beginning my career and education as a journalist at Texas News Service at Tarleton State University. I had never written a news story in my life, nor did I even have a clue about what I was doing. I was in my first journalism class when I had several failed attempts at writing a news story. All I wanted to do was get a good grade and pass the class, but no decent story was appearing. When I finally came to a dead end with no story ideas, my professor, Dan Malone, said I should try and see if I could get an interview with a sniper who was the most lethal sniper in U.S. military history and also a best-selling author for his book American Sniper. He also was a former student at Tarleton. And so, I did. I interviewed Chris, my very first news interview. Whenever I made the phone call, I was expecting a hard, rough and tough military veteran, but as soon as he answered the phone I could tell that he wasn’t going to be this big, intimidating sniper I had read about. I later came to find out that he was just a normal country boy from Texas who enjoyed shooting guns, being with his family and helping out others. Not only that, but he also was a huge Tarleton Texan fan. Whenever I spoke with Chris, I could tell right off the bat that he was such a humble guy. Chris had such a dedication to our veterans and an understanding to help them transition to the civilian life, especially since he was a veteran himself. He never stopped helping, even until his very last breath, as he and Chad Littlefield were helping Eddie Ray Routh on that shooting range. I still tremble thinking back to that horrendous day. I still can’t believe how it all unfolded. The last time I spoke with Chris, five days before his death, I remember thinking that it was just an average interview. I thought I didn’t really have a story to tell. It just felt like I was catching up with an old friend. It wasn’t until I heard about his death that I remembered the one question that would change my “average” interview forever. “So after all of this is said and done, after the book, after being on TV shows, the movie and so on and so forth, what kind of lasting impression would you want to leave? Like a legacy, I guess you could say,” I said. Chris couldn’t have answered it more perfectly. “I would love for people, when they think of me, think of, ‘Here’s a guy who stood up for what he believed in and helped make a difference for the vets – somebody who cared so much about them that he wanted them taken care of,” he said. And that is how I hope people will continue to remember him as time goes on. Chris might have been a best-selling author or the central star of a top-grossing movie, but he was and still is so much more than that. Chris is a true hero, patriot and warrior, and no book, movie or special day can minimize that fact. As those who are involved prepare for the upcoming trial, my heart is with the Kyle and Littlefield families. So much was lost on Feb. 2, 2013, but I hope that justice will be served. After all this is said and done, I pray that Chris’ legacy will continue to speak volumes to our future generations. May we never forget great men like Chris Kyle.